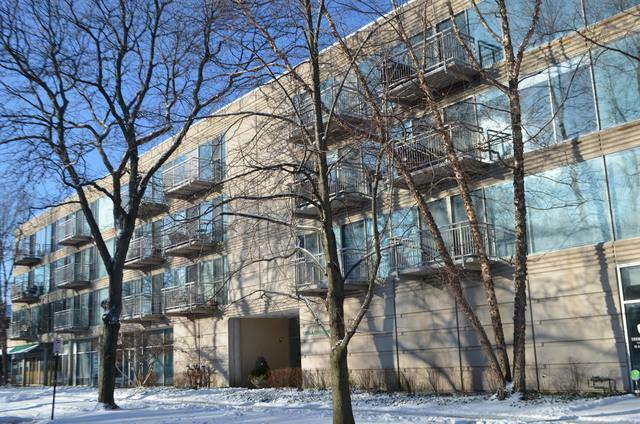 Enjoy the energy and vibe of downtown Wilmette in this highly sought after condo building. Beautiful one bedroom with den on penthouse 4th floor. 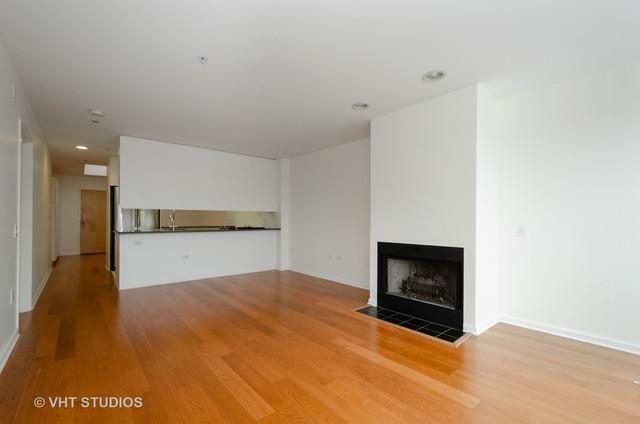 Enjoy all the natural light from floor to ceiling windows facing east with sliding door that open to a spacious balcony. A soft loft style den with half bath is perfect as an office or additional sleeping area. 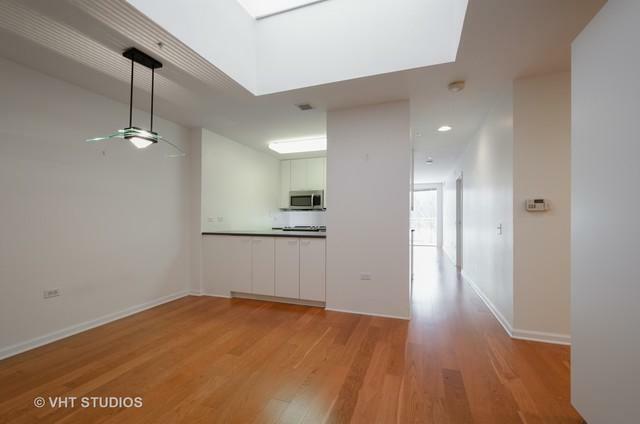 Features include: 3 large skylights, gas fireplace, newer hardwood floors, quartz countertops, all new stainless steel appliances and new stainless steel sink and faucet. Spacious master suite includes large closet and full bath. 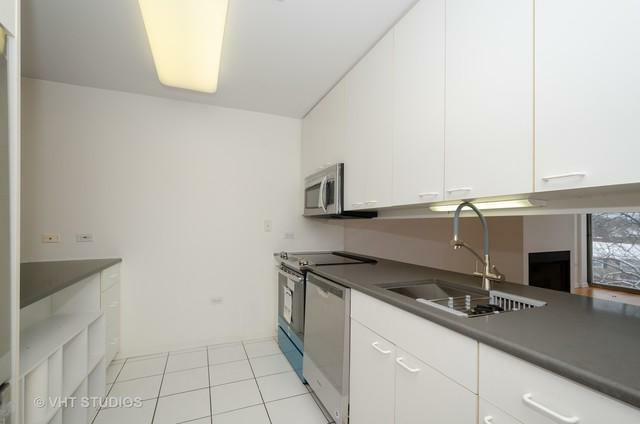 Comes with 2 premier indoor parking spots - closest to elevator and an oversized storage locker. Leave your cars in the garage and walk everywhere: schools, train, restaurants, movies and beach.